Our flagship store is located off Northway Exit 8 in Clifton Park – Plaza 8 Shopping Center (1536 Crescent Road). Artique Clifton Park promises a unique shopping experience with nearly 100 local businesses offering art, crafts, antiques, collectibles, and gifts. Whether meeting for a day out activity with friends or popping by for a quick gift, Artique always has something new to see. If you haven’t been Artique shopping yet (or it’s been a while) it’s definitely worth the trip! 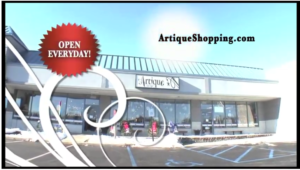 Watch our brief commercial to learn more about Artique!